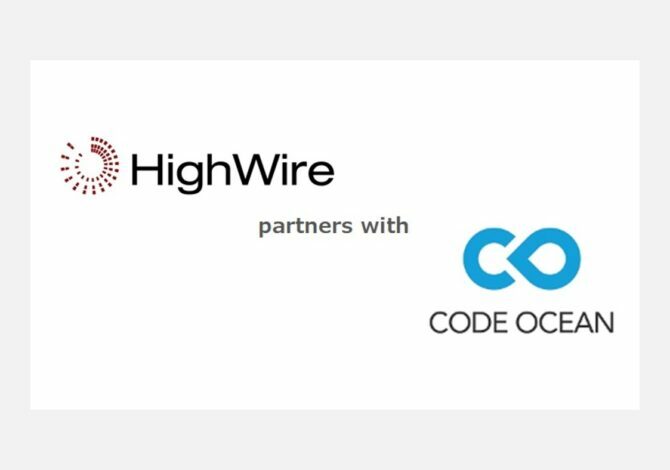 27 NOVEMBER 2018, LOS GATOS – Scholarly publishing tech provider, HighWire, has partnered with computational reproducibility platform, Code Ocean, to enable authors of academic articles to easily publish and share code associated with their research. Available to all HighWire customers, the cloud-based platform further allows readers to view and run code from within articles, increasing transparency within research, promoting reproducibility and reuse in research. A key challenge for the scholarly community, particularly within the scientific and medical disciplines, has been the ongoing struggle to prove reproducibility of content, studies, and research. Through integrating Code Ocean’s technology into their service offering, HighWire simplifies and encourages reproducibility across publishers, academics and university staff who regularly access manuscripts, research papers and other scholarly materials. Increasingly, researchers are relying on coding and software to help ease the burden of proof. Code Ocean is simplifying the peer review process by providing support for reproducibility. Researchers will be able to generate and submit code via the Code Ocean offering, which will then appear within the article once published.